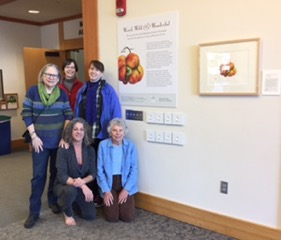 In the first week of February several current and former GRC board members assisted Marilyn Garber in hanging the artworks of the Weird Wild and Wonderful exhibition. 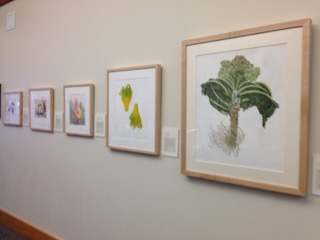 As we hung the work, staff and people who were attending various meetings at the Arboretum were awed and amazed by the beauty of the work. Then, on February 12, many members of GRC gathered for the opening reception of the Weird, Wild and Wonderful exhibition. Short welcomes were followed by a talk by Carole Woodin, exhibition director for ASBA. 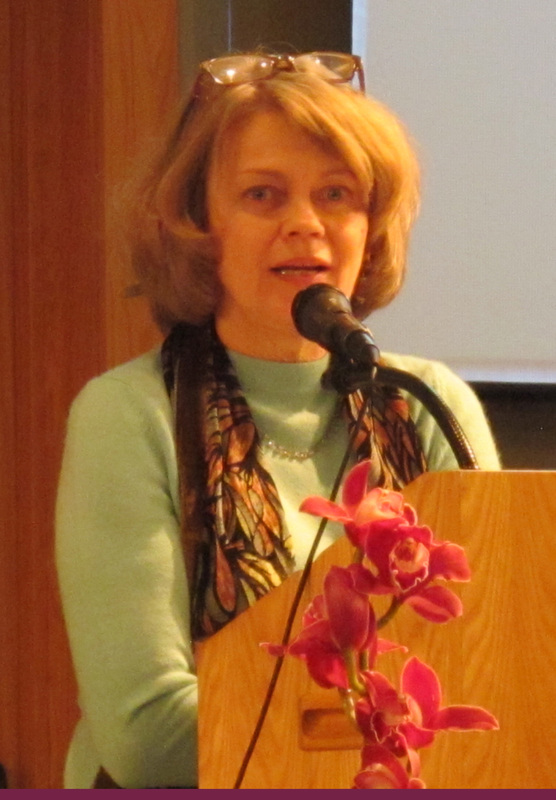 She gave background on the history, technique and purposes of botanical art to an audience of artists and gardening enthusiasts. Response to the artworks was overwhelming! This is a very special event for the botanical community in Minnesota.